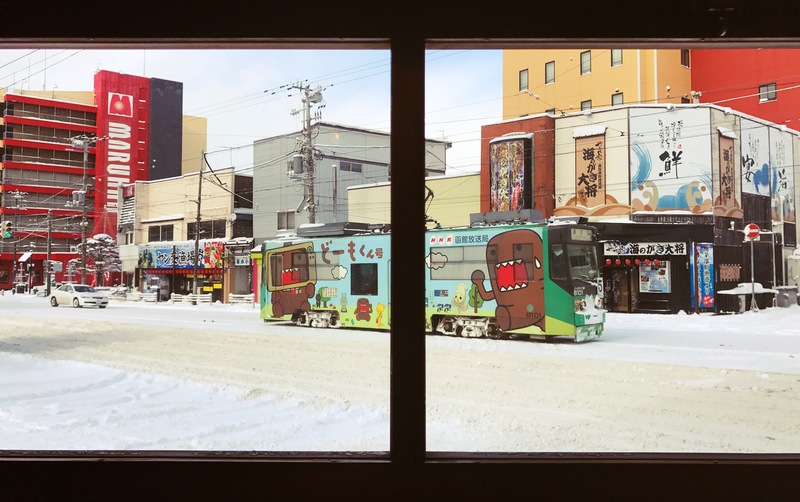 Japan: The North – Sometimes the wrong train will get you to the right place. We arrived on Japan’s frigid northern island, Hokkaido, at a pretty reasonable hour due to our miserably early flight out of Osaka. Upon landing at the New Chitose airport we made our way to Sapporo, the island’s largest city and the capital of the prefecture, some 30km north. There was a good meter and a half of snow on the ground, and as we flew through the countryside we were reminded of Finland in the winter. Sapporo is mostly just a stopover for those doing the various things that Hokkaido has to offer. It’s a fairly small city by Japan’s standards, but there are still a few things worth checking out. The first is ramen. Oh, ramen, that quintessential Japanese noodle soup available nearly everywhere around the world. Ranging in quality and preparation from the packs of instant noodles found in the general stores of the Mongolian steppe all the way to the sophisticated boutique noodle houses of New York, none compare to the variety gotten on Hokkaido, however. 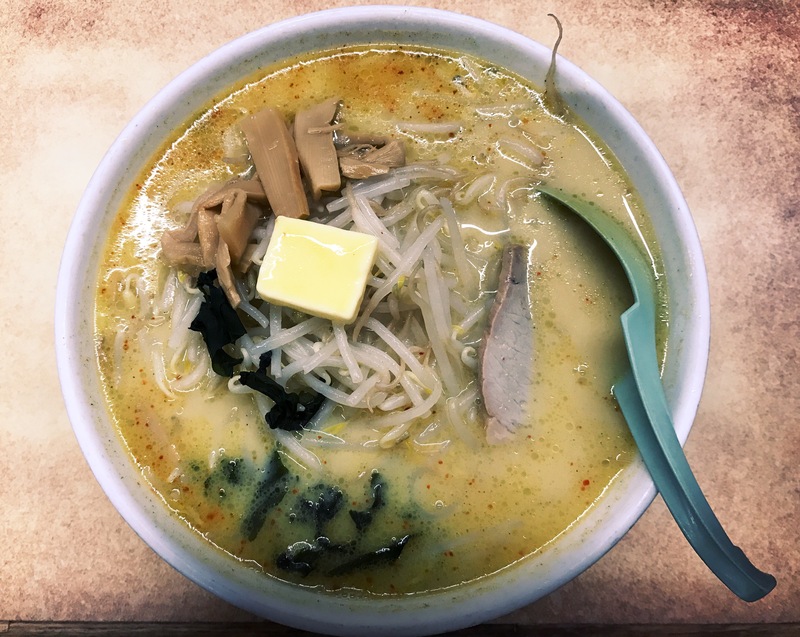 Hokkaido’s ramen isn’t necessarily the oldest or most traditional, but it’s respected across the country as perhaps the best. 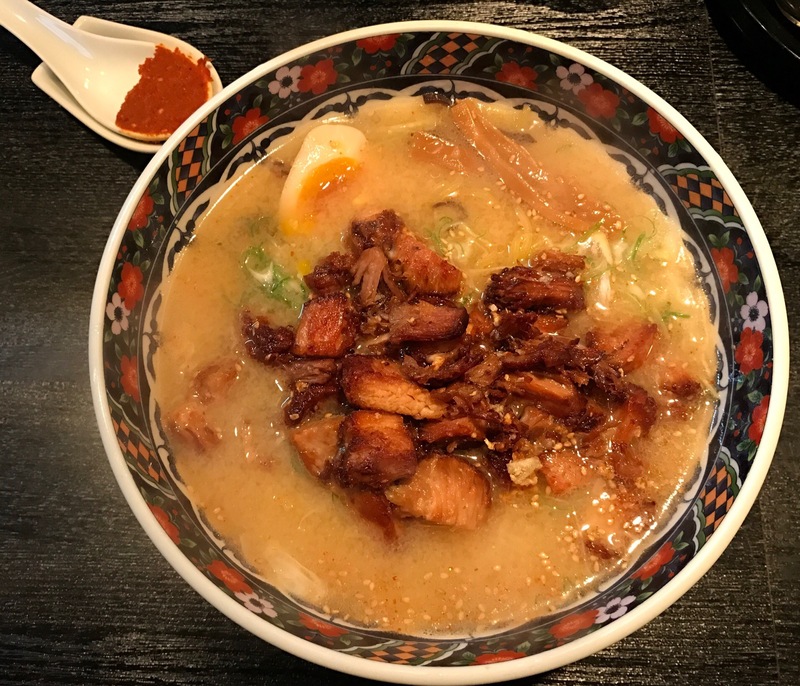 The broth is cloudy and fatty, made from boiling various bits of pork and bones over hours and hours, and adding heaping ladles of the critical ingredient: miso. The hearty soup is such a staple of the Hokkaido diet that there’s a street dedicated to the fare in Sapporo. Ramen Yokocho, or “Ramen Alley” is the place to go for ramen in Sapporo. 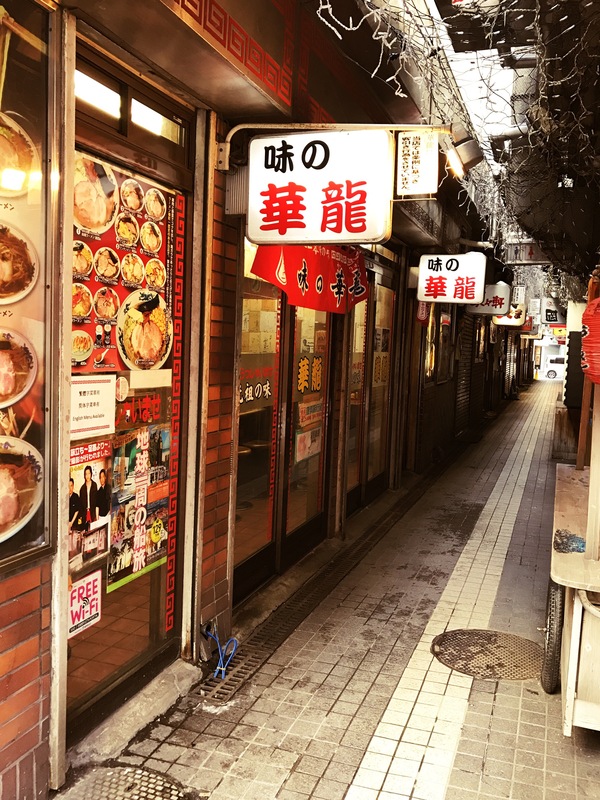 There are 20 or so shops that line the alleyway, and each of them has top notch ramen in their own way. 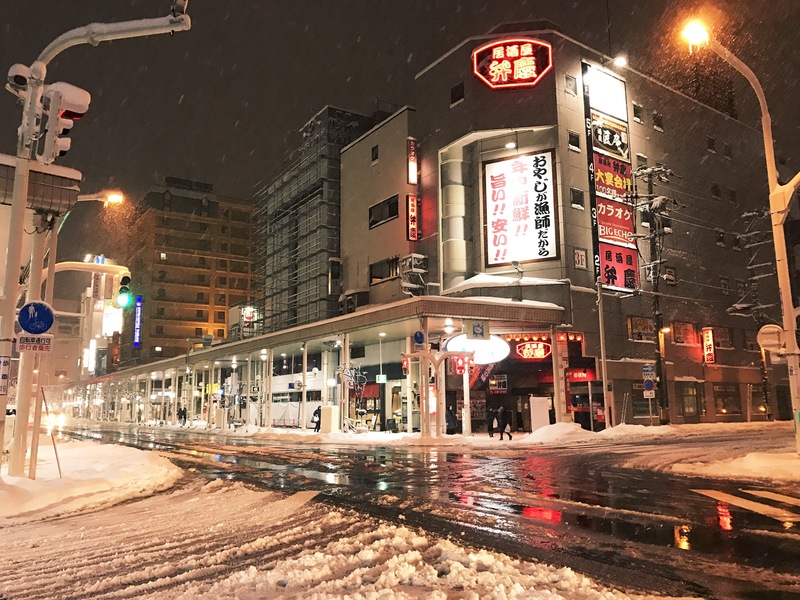 The auspices of Ramen Alley have even been covered by the venerable food critic Anthony Bourdain during his stay in Sapporo. Anthony Bourdain’s pick, not impressive. We met a group of three Aussies as soon as we arrived at our guest house. 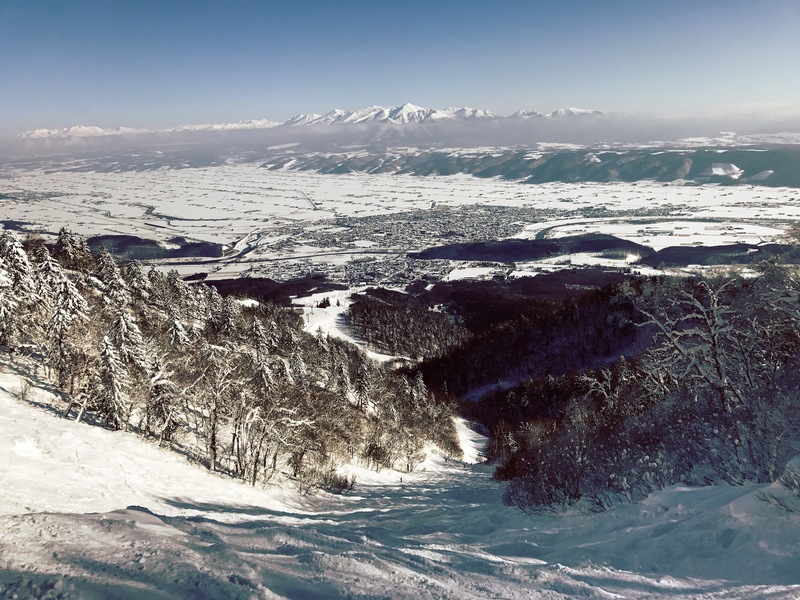 They were on their way to Furano, a fairly well-known ski resort as part of a larger ski trip, so we teamed up the first day to explore the town a bit. Our first stop was ramen alley. We picked a random shop that looked cozy, and it turned out to be a good bet. The dimly-lit bartop lined with patrons slurping up noodles to some bebop jazz on the stereo beckoned us in. 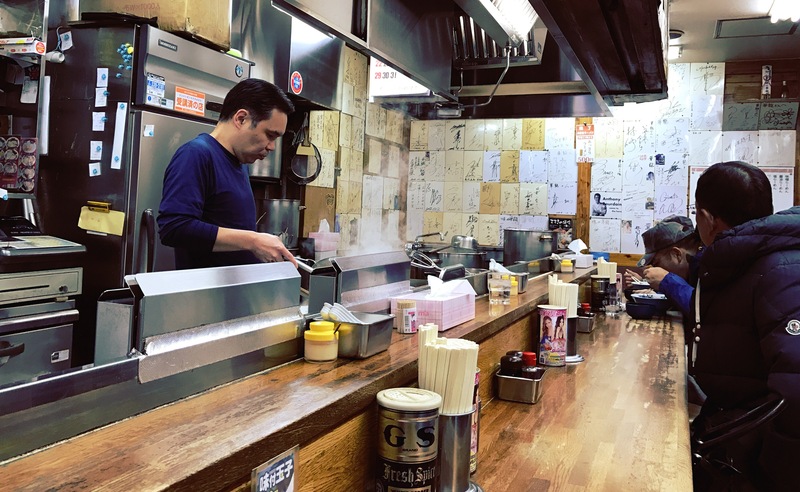 The ramen was a great initial foray into the world of Hokkaido cuisine, and some of us left wondering if it was perhaps the best ramen we’d ever had. Next up was the Sapporo Beer Museum. Perhaps the only thing that Sapporo is known for outside of Japan is its namesake beer, so we aimed to educate ourselves on the matter with a tour of the museum. The building was a beautiful historic piece, and a nice reprieve from the arctic conditions outside. The museum itself was interesting, and went over the history of beer production on Hokkaido and in Japan in general. The best part, however, was the tasting at the end. Unlike the Orion Brewery tour we took in Okinawa, we had to pay for this one, but the prices were surprisingly reasonable at 200¥ (around $1.75) per glass, compared to the 400-500¥ range at most bars. After sufficiently imbibing ourselves for the hour (it was only 2pm or so at this point) we headed out to enjoy the snow a bit. It was one of the Aussie’s first time seeing snow, so we partook in some impromptu snowball fighting and eventually made it back to our guest house. 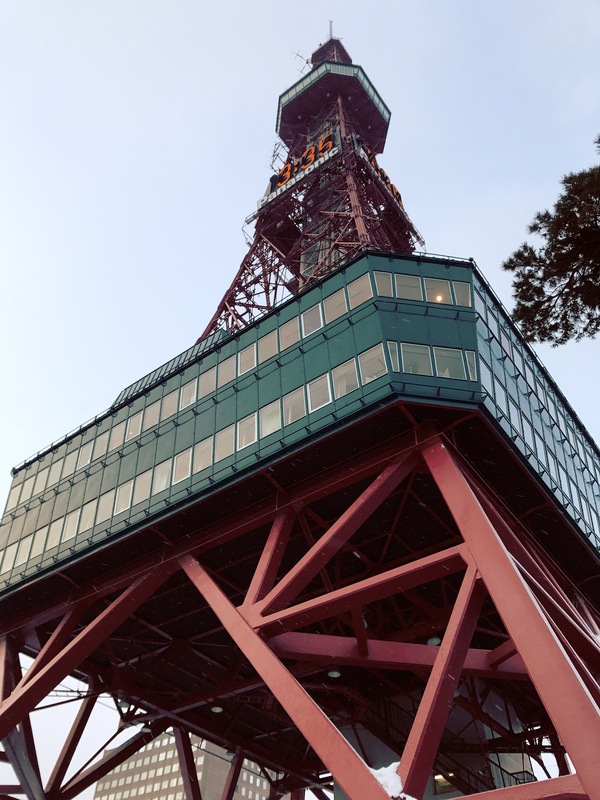 The TV tower in Sapporo. It was rather serendipitous running into the Aussies, as it turns out. We had forgone any winter sports while in Hokkaido, much to our displeasure, on the grounds that they were far too expensive. Accommodation alone in many of the resort towns is hundreds of dollars per night, not including the lift tickets or gear rental (which we will obviously need). 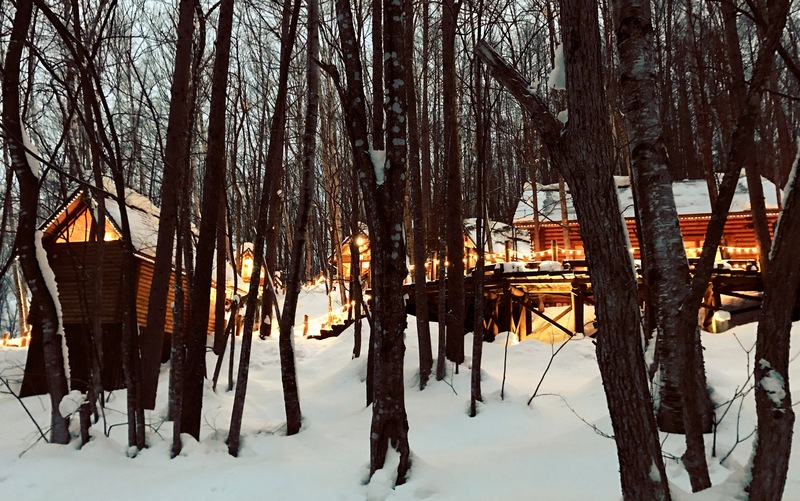 The Aussies however, had already pitched in on a an eight person cabin at Furano for just the three of them, and were half looking for anybody else to share the cost with. At this point it was looking doable, as we’d be spending less than the price of dorm beds in practically any other Japanese city by sharing. Their plan was to head out the following morning while we tentatively planned to join them a few days later, after our stay in Sapporo was finished. We all had another of Hokkaido’s specialties, sushi, for dinner that night. We ended up at a second floor joint in the center of town, oriented in the Japanese fashion with shoes-off tatami mat seating areas surrounding tanks of live fish and the preparation area. The food, again, was fantastic. 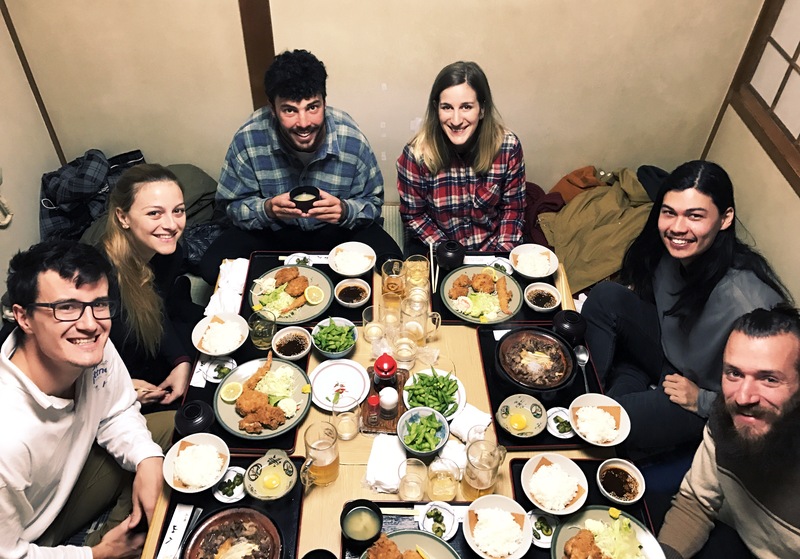 The Aussies left the following morning, and we decided to head to Otaru for the day. 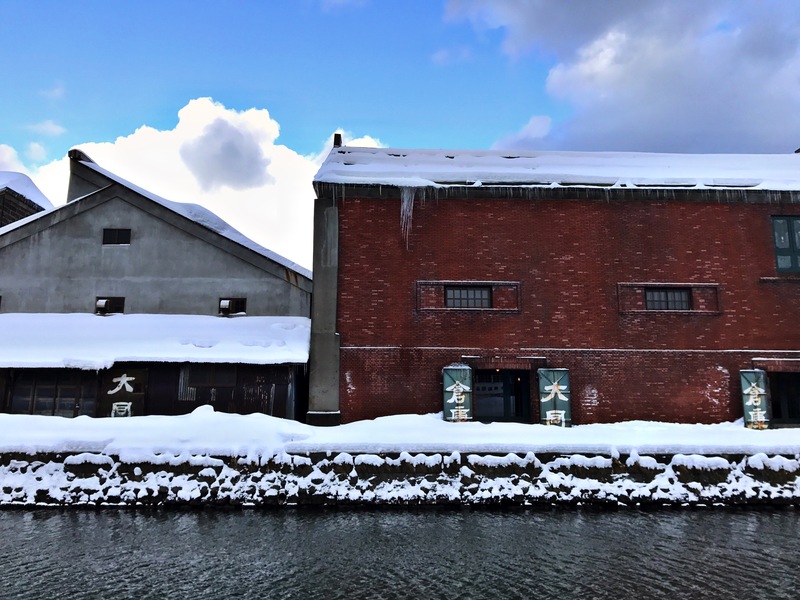 Otaru is just a 40 minute train ride from Sapporo, and there is a historical port area and old town that are tourist attractions. We bought the Sapporo Otaru Welcome Pass from Sapporo’s central station, which includes a round-trip ticket on the JR train to Otaru as well as a day pass for the Sapporo subway and were on our way. 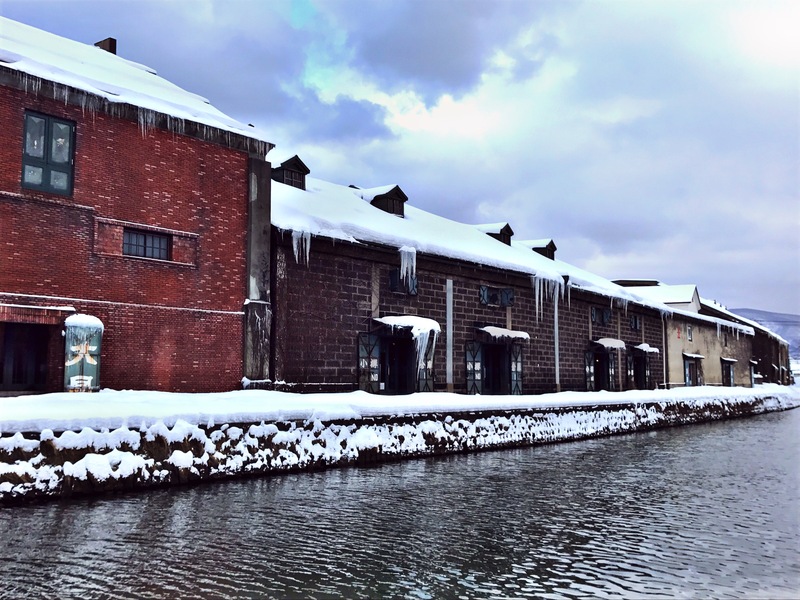 Warehouses line the canal in Otaru. Our first stop in Otaru was a ramen shop, again. We made our way to Tokaiya, just a few blocks from the station, and waited in a brief line before being seated. Again, a dimly-lit bartop arrangement with somebody like Cannonball Adderly on the stereo. The restaurant had a very mom and pop feel to it as the only employees were a middle-aged man and woman. We both chose the “Japanese style roast pork miso ramen”, as there were few options on the menu. The huge bowls arrived, filled to the brim with a cloudy white broth and small motes of pork fat. In the middle sat a heaping pile of succulent and slightly chewey egg noodles, on top of which was poised a healthy portion of the most delicately fried pork, a dusting of golden brown crispness along the edges accompanied by a core of tender, slow-cooked perfection. Tying it all together were the various accompaniments of bean sprouts and green onion. Hands down the best ramen of our entire lives thus far (pending further examination during the rest of our stay in Japan, of course). We left wondering if Bourdain’s restaurant of choice on Ramen Alley, which we hadn’t yet visited, could possibly be better (spoiler: we visited it later and it wasn’t). As we were leaving, a few other westerners were denied, as the chef explained that they had sold out. We couldn’t contain ourselves, and apologized for rubbing it in, but advised that they do whatever they could to come back the next day as it was well worth it. Unfortunately it was their last day in Japan, and we mourned their poor souls. The life-changing ramen at Tokaiya. 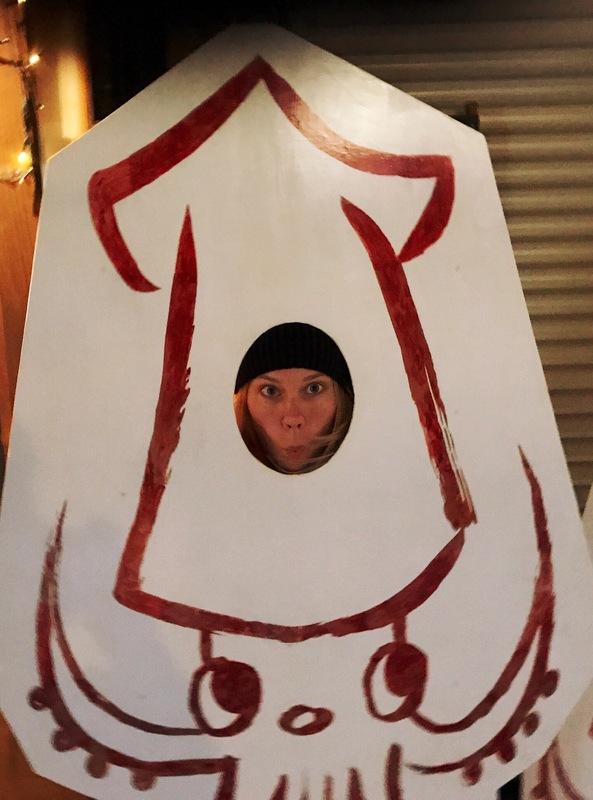 We spent the rest of the day wandering the quaint old town of Otaru. It was definitely a tourist destination, and we were far from the only ones there, but it was quite nice. 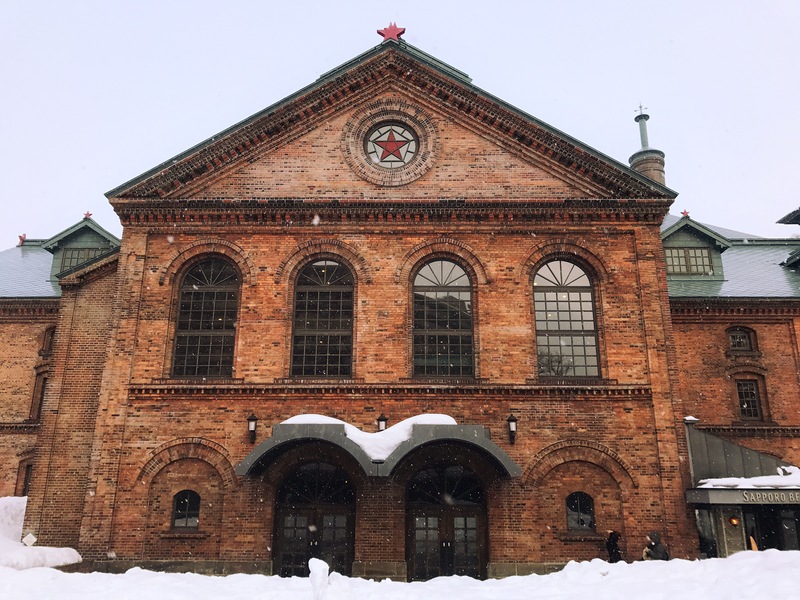 The central canal, lined with old Russian-style warehouses was certainly a sight to behold in the winter. Certainly not what you think of as “Japanese”. After spending a few hours wandering into this or that souvenir shop or cafe, we headed back to Sapporo for dinner. Ramen was the clear choice, despite having had it for most meals since arriving. At the suggestion of our guest house, we tried a ramen shop called Keyaki near (but not on) Ramen Alley. This time we sprung for another of Hokkaido’s ramen varieties: butter and corn ramen. Admittedly a weird sounding combination, but it pairs very well with the hearty miso broth. The bowls were served with a heaping pile of corn and a sizable block of butter melting into the stock. We spent the following day checking out the Hokkaido Museum of Modern Art as well as the Sapporo Clock Tower. The clock tower is basically only interesting because it’s an example of western architecture in Japan, but Hokkaido as a whole has no shortage of such buildings. The museum portion of the clock tower has very few descriptions in English as well, and all in all was not worth the admission fee. The modern art museum was much more enjoyable though, and we spent several hours perusing the various pieces there, and finished off the afternoon spending far too much money on coffee and tea from a chic cafe nearby. 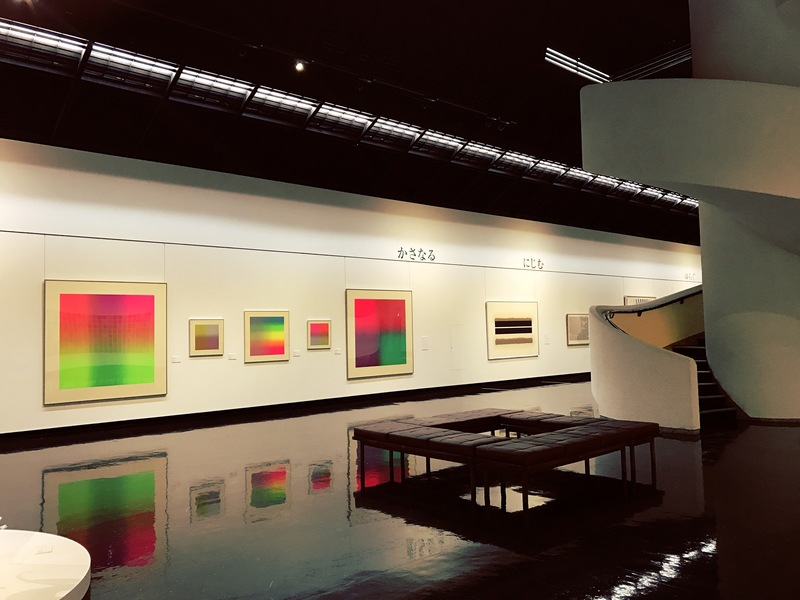 Hokkadio Museum of Modern Art. We had been filled in on the details of Furano by the Australians and decided we’d be crazy not to go. Certainly a lot of money involved, but this is something of a once-in-a-lifetime experience. We headed out of Sapporo from the Chuo Bus Station on the 9:35am departure to Furano the following morning. We made it to Furano with little trouble, and sorted out our gear rental and transport to the actual ski area to meet up with the Aussies. They came down from the slopes at around 4pm to hit the hot springs and traded us their lift tickets so that we could get some runs in. The snow was in pretty good condition, but due to the hour we were limited to mostly groomers. After the slopes we headed to Ajito in town for some dinner and beers. A few rounds of pool were played before we retired to the cozy log cabin that the Aussies had secured and called it a day. The next day was the most memorable of them: a bit more snow had fallen overnight but it was all blue skies and sunshine when we woke up. We all got in a full day of riding with some spectacular powder runs, all with amazing views out across the valley, town, and mountain range opposite the ski area. Our legs were shaky by the end of it, so we stayed in that night and played some Monopoly Deal (a game new to us, but we quickly got an affinity for it). Not much more you could want. On our last day the clouds rolled in and it started snowing again. Oona was suffering from a migraine so she stayed in until lunch. Not much was missed, however, as the high winds and heavy snow proved tiresome. It cleared up a bit after lunch and we were able to get some good final runs in together. We finished off the day at a Japanese restaurant in town with a few friends of the Aussies. After negotiating with the mom and pop owners/cooks/wait staff, we managed to convince them to seat us in a nice little tatami mat corner. The food was amazing and just what we needed after a long day on the slopes. The following day we got up early and got a ride back to the bus station to catch the bus back to Sapporo. The Aussies were heading to Niseko for some more skiing while we were heading to Lake Toya, both via Sapporo. At least a meter of snow blanketed the earth and it was coming down in drifts during the bus ride, but a few breaks in the clouds provided for some stunning backdrops of the Hokkaido countryside in its typical winter coat basking in the sunlight. We were thrilled to be able to get some skiing in while we were here, as these parts of Japan are quite well known for it. It was wonderful to make some good friends along the way too, before our return to “just us”, a state of being with which we’re quite familiar at this point. We said goodbye to our new friends and caught our bus to Toyako at the bus terminal underneath the Esta shopping center at Sapporo’s central station. For what it’s worth, there seem to be four departures for this bus per day, spread fairly evenly, the one we caught was at 14:10. Village of quaint shops in Furano. We arrived in Toyako after sundown, although it wasn’t as late as it felt. We got off the bus near the edge of town, judging that stop to be the closest to our hotel from the map. This may have been true, but our hotel, as it turns out, was quite far from the town. We navigated by map and slogged our way through the snow, struggling to maintain our grip on the icy hills. The well maintained road we had been following took a sharp turn, but we stuck to our course, climbing a small gate, evidently meant to keep cars out. A set of faint, windswept footprints in the deep snow represented the path’s last use. We did eventually make it to our hotel, in a small, unknown burg in the hills between Lake Toya and the city of Toya on Uchiura Bay, consisting of some dozen houses and low slung buildings. Not a restaurant or shop, or living soul, for that matter, was in sight. The hotel was open and lit, but nobody was around. After wandering around the hotel looking for the proprietor, we tried calling a number scrawled on a paper in the office from the office phone. No answer. A short while later a car pulled up, and out came the tiny old woman who ran the place. She seemed chipper and happy, and we think she may have been trying to find us. She was concerned about her money, and the handling of that was the first order of business, but she offered to drive us into town and pick us up later after learning that we had no car. The sleepy main street in Toyako. She suggested a good spot for dinner, and reiterated that she would pick us up at the SeicoMart at 9:30pm, all the while chattering away in Japanese. We had trouble killing that much time in such a small town, but settled on a bottle of sake at one of the only places open beyond 8 or so, a nicely-decorated burger place more befitting of Tokyo or San Francisco than the tiny spa town of Toyako. Hokkaido, and Toyako in particular, is known for its hot springs, or onsen, as they’re known in Japanese. There are countless spas all over town, typically run by, and part of a hotel, but also open to the public for a fee. It is commonly-known that most onsen do not allow guests with tattoos, so we had asked our hostel proprietor from Sapporo to write down a couple that apparently allowed them. Still worried about whether or not that request was lost in translation, and whether or not our inked skin would cause the other patrons to flee in horror, we showed up at Kanko Hotel. After a brief discussion with the reception, they assured us that our tattoos were no problem, and we paid for a rental towel and admission to the baths, a little over 1000¥ per person. It’s worth mentioning that even though tattoos may be allowed, they are almost universally considered quite disrespectful by the older generation in Japan, so you may garner some rather unpleasant staring by baring them. The experience was amazing, and we spent a few tranquil hours bathing in the mineral waters. The men’s and women’s baths were separate, so it was a time of introspection for us rather than conversation. We spent most of our time in the outdoor pools, where a bit of solitude was found. The baths were not overly crowded, but there were a fair amount of other patrons coming and going. As we lay submerged in the steaming cauldrons, the snow fell in flurries and the howling wind nipped at our faces. 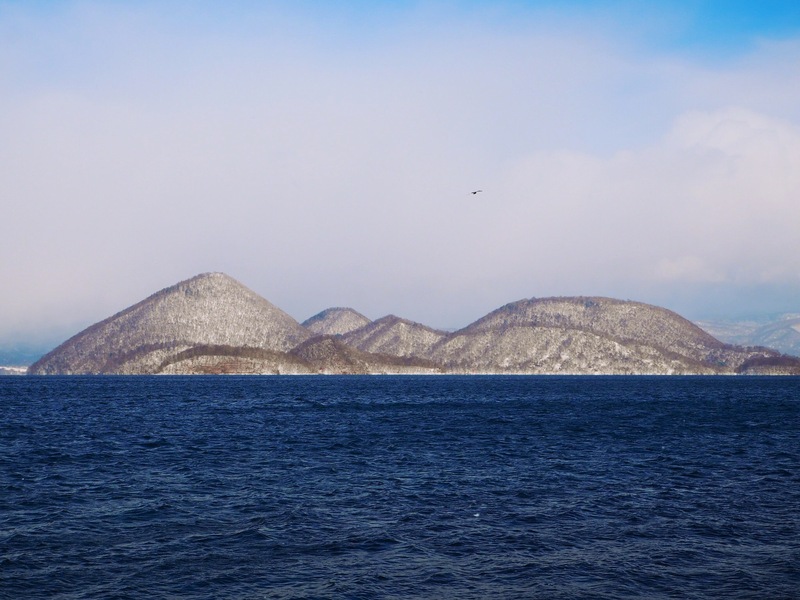 The volcanic islands in the middle of Lake Toya. 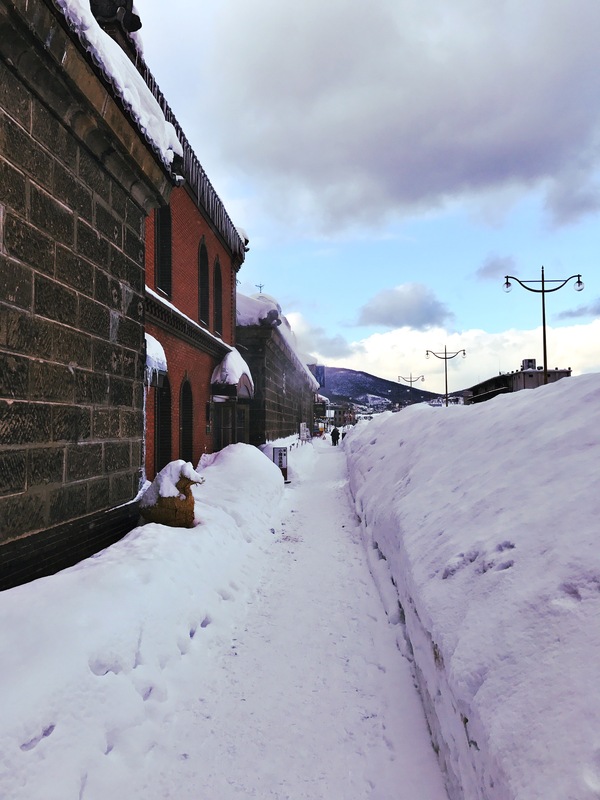 The snow never let up, and a thick blanket of it covered the village during our stay. We tried to take a bus to the JR station in Toya, as we had seen hourly city buses loop down our street and back, but the driver of the bus we banked on heading that direction assured us that he was not going to the JR station. Likewise, the driver of the next bus in the opposite direction said the same thing. Confusedly, we stood in the loop at the end of the road as our hotel proprietor showed up in her car. We managed to convince her to take us to the station for 1000¥, just in time for the train to our next destination. The view out the window of the train was mezmerizing as we blew past snow-covered village and mountain. The rumbling diesel engine tugged us along the slowly curving track, following the Pacific coast of Hokkaido. Our speed as we passed whipped the snow all around us into a veritable frenzy, adding to the near blizzard already falling from the sky. Coupled with the utterly frozen surroundings, the scene outside the train windows looked entirely inhospitable. 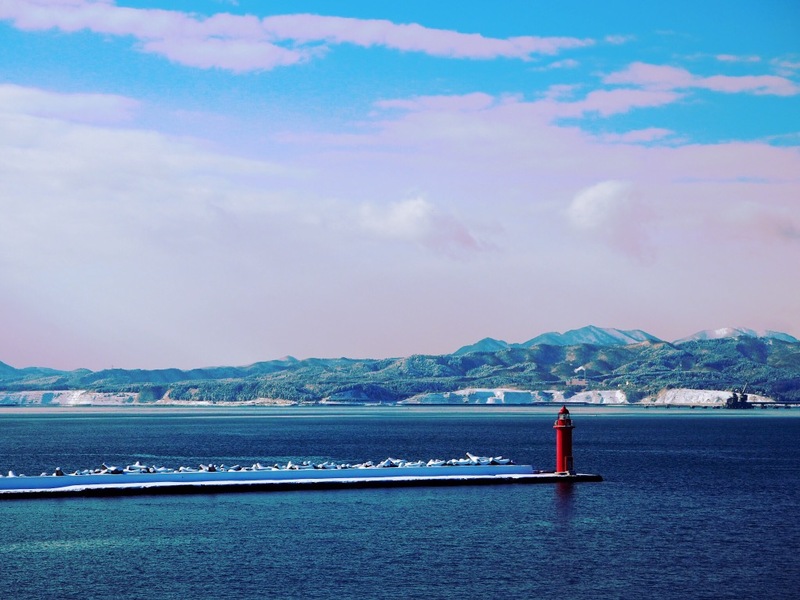 The list of places between Toyako and Tokyo were dwindling for us, and we weren’t sure what to do or see in the vast stretch of land between the two, but Hakodate seemed like a good bet for one night. 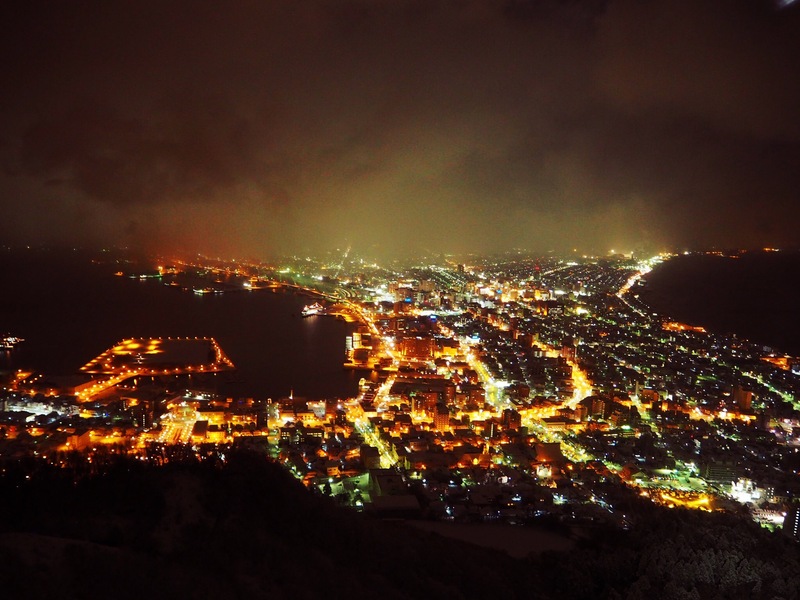 It was indeed, it’s a cozy little port town whose singular claim to fame is having a “top 3 night view” in Japan, which can be seen from the nearby mountaintop. With only the afternoon to spare, we headed up to the mountaintop to see what all the hype was about. Apparently every other tourist had the same idea at the same time, as Chinese tour groups, dispatched from a convoy of charter buses, descended on the cable car station in droves just as we arrived. The surprising thing was where they all came from, as we hadn’t seen any other tourists in town before this. At any rate, we tucked into the line and made it up to the mountaintop. As we arrived, no view was to be seen, with the entire peak swathed in a thick fog. The light from the city shone up through the clouds only vaguely. After 15 minutes, however, the strong winds dragged the low hanging clouds out to sea, revealing a stunning view of the city and nearly full moon. We’re not convinced it’s a top three view, but surely within the top five. We got some tempura for dinner and rode the tram back to our hotel. We had plans for leaving on the ferry to Aomori the following morning. With several more days to kill before our stay in Tokyo begins, we decided we’d go the low cost/low effort route, staying in Aomori for a few days, followed by Sendai, and finally on to Tokyo. We toyed with other ideas, but they were all prohibitively expensive or difficult, and we simply didn’t have the energy for any of that. One of Hakodate’s adorable trams. The ferry was a cinch, we took the Southern Hokkaido Railway a few stops north to Nanaehama where we walked to the ferry terminal. There were about 10 other people on the ferry with us, and we were all ushered in through the cargo bay, which was also conspicuously empty. The vessel was eerily empty once we were underway, nary a soul in sight in the hallways and seating areas, with only the dull growl of the engines as a reminder that somebody may be actually manning the controls. On the Aomori side we waited 20 minutes for a shuttle bus to whisk us away to Aomori station. 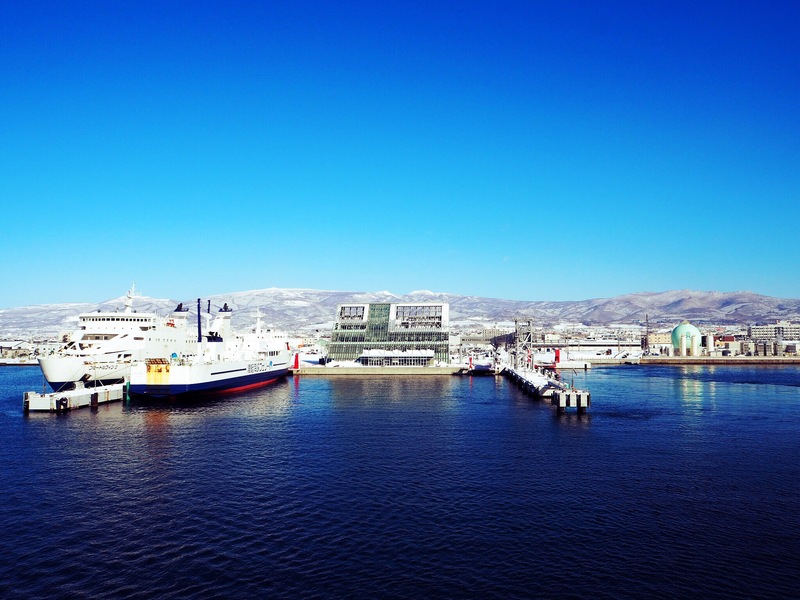 The harbor in Hakodate on our way out. We didn’t have particularly high hopes for Aomori, but it ended up being surprisingly nice for a stopover city. There are a shocking amount of hip restaurants and bars for such a small place. We made it a point to try the much raved about curry milk miso ramen at Aji No Sapporo, which is a modern twist of normal Sapporo-style miso ramen. It was quite good, but certainly no Tokaiya. We spent some time sipping drinks at Pent House, which was a surprisingly stylish top-floor bar and restaurant nearby, to finish off the night. With another full day in Aomori we decided to check out the castle at Hirosaki some 45 minutes away by train. 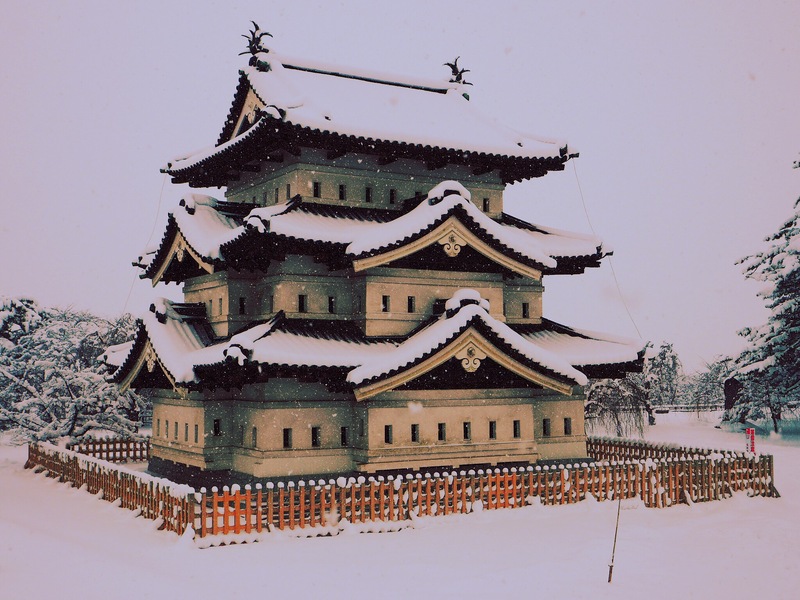 The snow had been falling steadily all night and morning again, so Hirosaki was buried under a fresh layer of it. The castle and surrounding gardens were beautiful, and the snow lent a very peaceful feel to the place. We were prepared to pay an admission fee, but all the ticket counters were closed, and the doors propped wide open. We hardly saw anybody else while we were there. 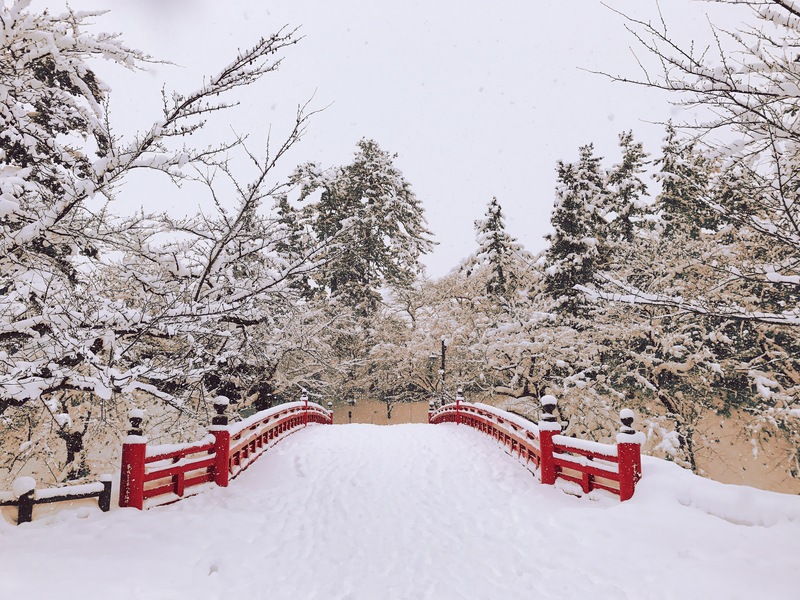 A snowy bridge in Hirosaki Park. To reiterate, transport, as well as everything else in Japan, is extremely expensive, so any way you cut it, getting from Hokkaido to Tokyo is going to cost a lot of money. The bullet trains are typically the most expensive, but the local trains aren’t that much better. Where buses are available they’re usually the cheapest, but they only operate some routes. In any case, we managed to get on a nearly totally empty bus from Aomori to Sendai the next morning at 10:30, which saved us a bit of money on the trip south. The snow cover steadily thinned the farther south we got. A friendly snow shoveler at the station in Aomori for some reason gave us a rundown on the snow conditions throughout Japan, and sure enough, things were as he predicted. By the time we made it to Sendai there was virtually nothing. 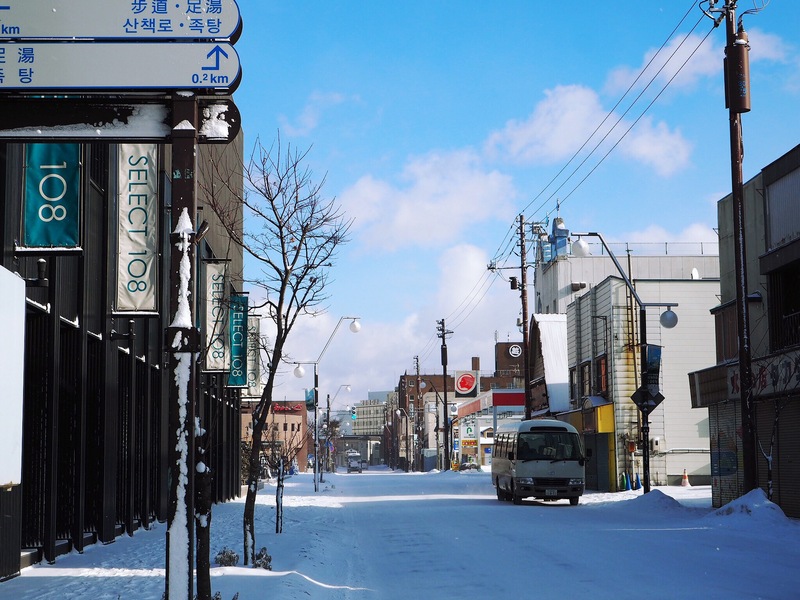 The main drag in Aomori. We spent a quick night in Sendai and got dinner out on the town. Sendai seems like a nice enough place, but we certainly missed out on really experiencing as our stay was merely a stopover. We booked a ticket for the Willer Express bus to Tokyo the following morning, and took advantage of their “convenience store” payment option, which didn’t go very well. We stopped in at a Family Mart and asked the clerk about it since machines are in Japanese. She waffled for a bit, reading the same menu over and over again, we eventually left and tried the Lawson Station across the street. Again, confusion, but after 10 minutes or so of help from several clerks we were able to pay (note: the phone number used for the booking is a crucial part of the payment procedure). At this point we were given a receipt; not sure of its significance, we held onto it. As it turns out, no paper ticket or receipt is required when boarding the bus, as the conductors have tablets with access to the full passenger manifest. It’s simply a matter of indicating who you are. The bus was stuck in gridlock traffic outside of Sendai for four hours, which is probably why people take the train, so we ended up getting to Tokyo considerably behind schedule. At any rate, we did make it, and we’ll have prepared a blog post on the city by the end of our stay. 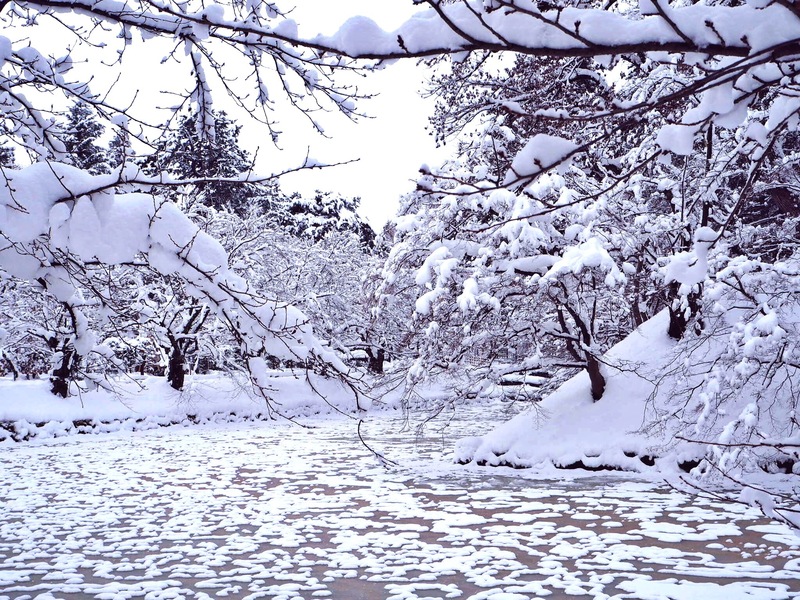 A frozen pond in Hirosaki Park. Wow, what a blast! So cool you ran into those Aussies and got to share their ski lodge with them. I wonder if Oona’s migraine was abetted by the MSG in the Japanese food? That’s a killer for me and mine. Looks like you’ll be using your winter clothes for a little while longer. Pingback: Australia: Sydney, Melbourne, and Perth – Sometimes the wrong train will get you to the right place.